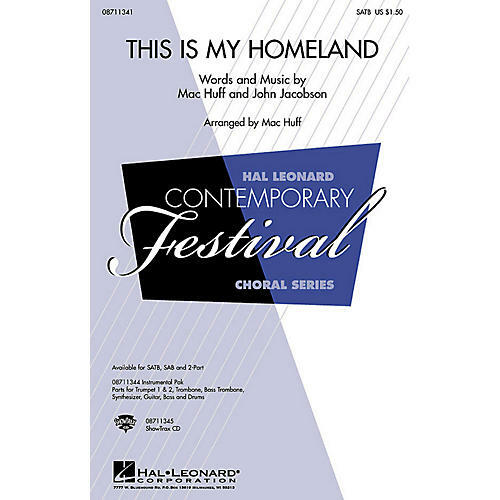 Featuring quotes from John F. Kennedy, Ronald Reagan, Alfred Lord Tennyson and more, this original work for chorus, soloists and brass is a powerful affirmation of the American spirit. It is an ideal salute to heroes past and present and offers an unassailable belief in liberty and the dignity of the human spirit. Let every creature rise and sing. Within your heart let hope take wing. From every patriot let it ring, our love of liberty.Available separately: SATB, SAB, 2-Part, Instrumental Pak (parts for Trumpet 1 and 2, Trombone, Bass Trombone, Synthesizer,Guitar, Bass and Drums) and ShowTrax CD. Performance Time: Approx. 5:30.